The experience of growing an Amaryllis indoors is a holiday tradition. Beginning with the first budding stem that emerges to watching each glorious bloom open one by one – Amaryllis enhance the holiday season like no other bulb. The flowering pageantry provides weeks, even months of interest. One admiring glance is all it takes to appreciate how amaryllis is essential to holiday décor. Explore these rare and exotic versions of classic varieties to cultivate cherished memories and start your holiday season. 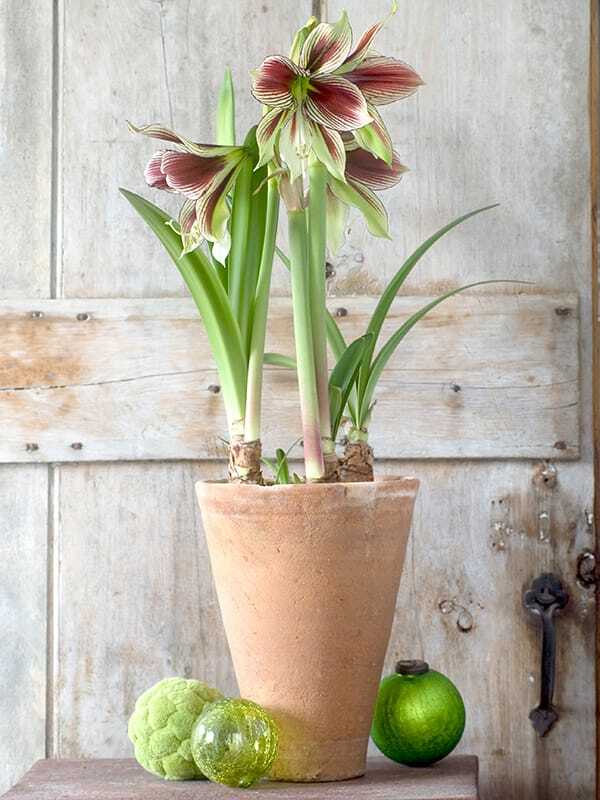 If you’ve never potted and grown Amaryllis before, check out our step by step instructions here. Amaryllis means ‘to sparkle’ and Amaryllis ‘Flamenco Queen’ is strikingly bold and brilliant – perfect for the festive holidays and beyond. Huge ravishing blooms with cherry red streaks and feathering over dazzling white petals will steal your heart. A cool apple green throat adds an extra burst of colour and it will quickly become a treasured favourite. Each stem rises 40-45 cm (16-18)” and bears 4-6 flowers per stem. Each bloom measures 22-30 cm (9-12”) when fully wide open. 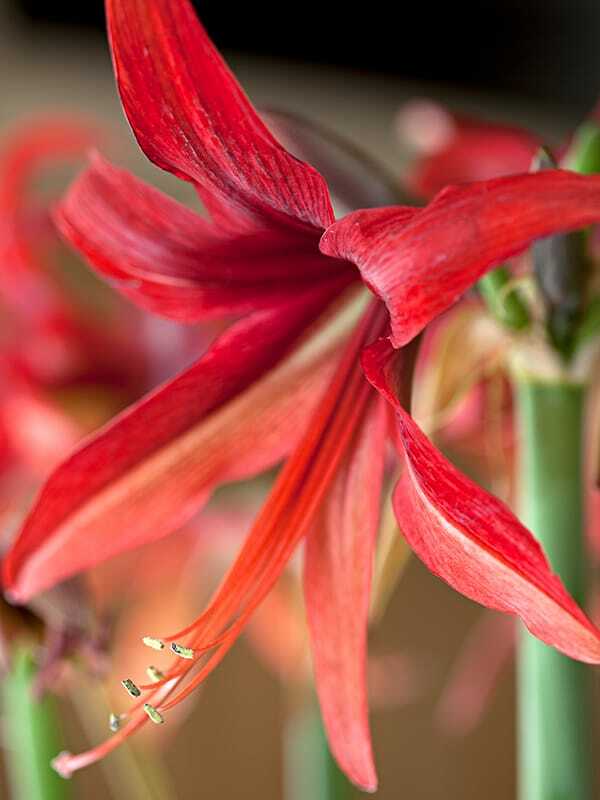 Amaryllis are long-lived and easy to grow and coax into blooming year after year with some easy aftercare. Bigger amaryllis bulbs produce more flowering stems of blooms, so be sure to buy the largest and plumpest bulbs you can find. 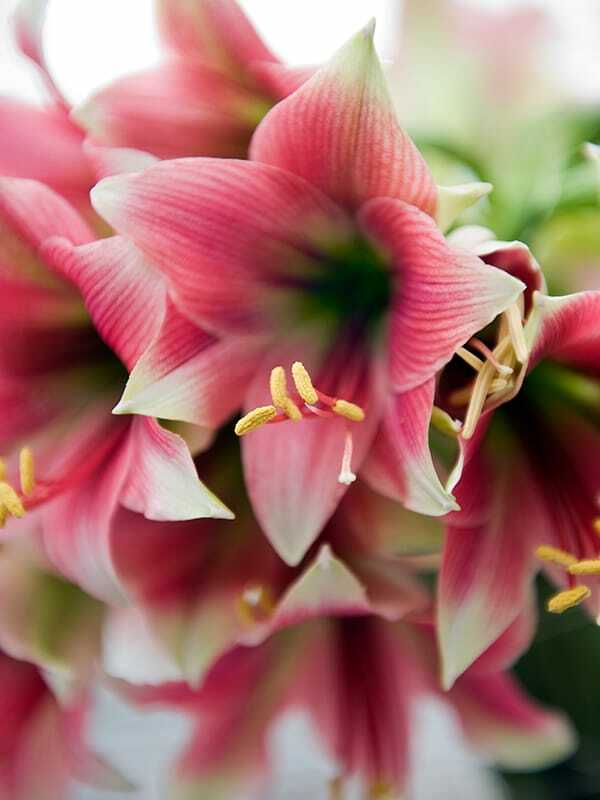 In full bloom, Amaryllis ‘Misty’ may fool your dinner party guests as it looks more like a trumpet lily. It’s pale misty pink to raspberry striping washes over angelic creamy white petals that are pointed and slightly curving at their tips. 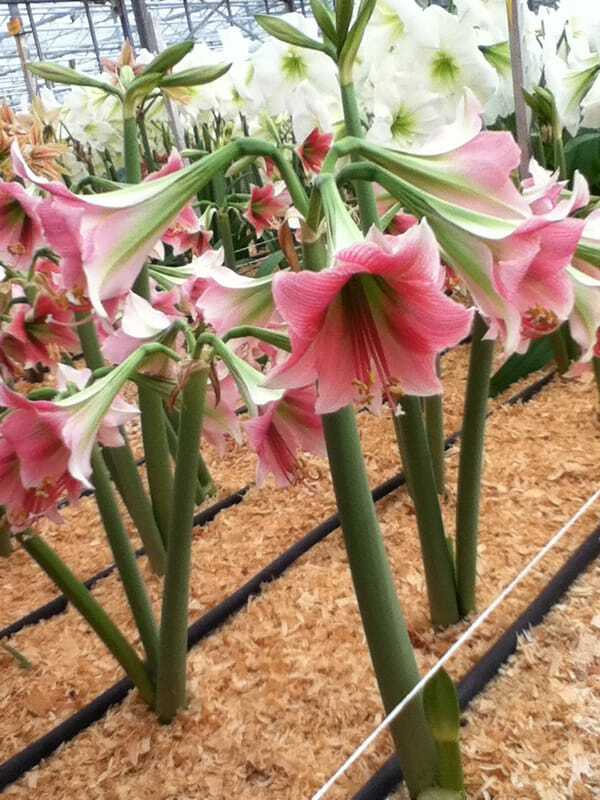 Each blossom’s long greenish white neck and throat conveys a light fragrance, which is a desired characteristic not often found among amaryllis. A single stem rises 40-45 cm (16-18”) and bears up to three trumpet-shaped flowers measuring 20-25 cm (8-10”) across. 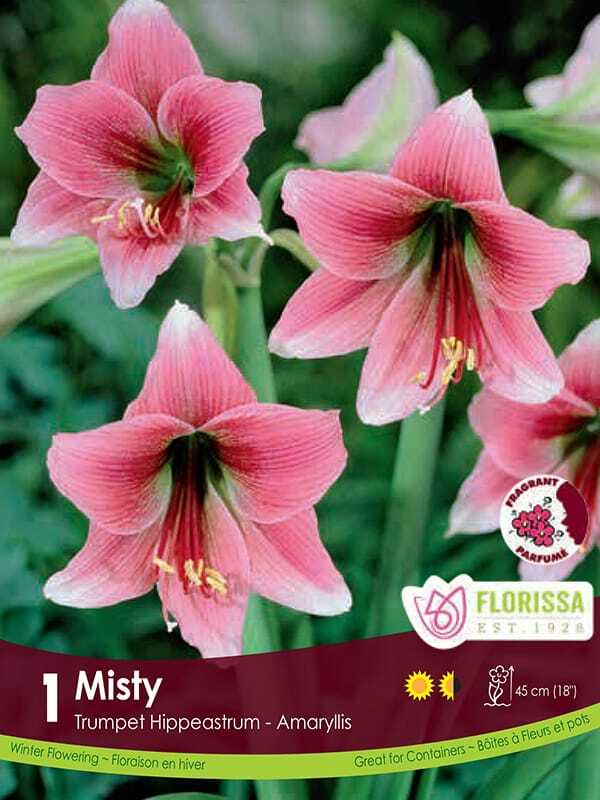 Amaryllis ‘Misty’ is graceful and ideally suited as a focal point or table centrepiece. Cybister amaryllis, native to Bolivia and Argentina, are known for orchid-like blooms and are unlike any other amaryllis featuring long, slender, ribbon-like strands for petals. Amaryllis ‘Bogota’ is an alluring beauty with six-pointed, star-shaped blooms in bright zesty red and coral. Each exquisite petal gracefully arches wide open to a slender tipped point. 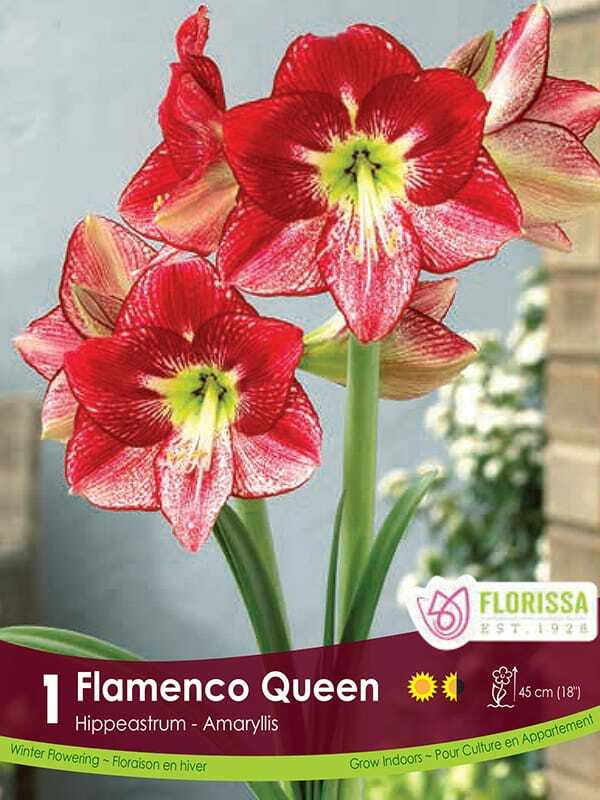 Blooms measure up to 12 cm (5”) when wide open and appear in clusters, with 4-6 flowers per stem. Stems rise approximately 40-45 cm (16-18”). Cybister amaryllis can take a little longer to bloom than other types of amaryllis, but definitely worth the wait. 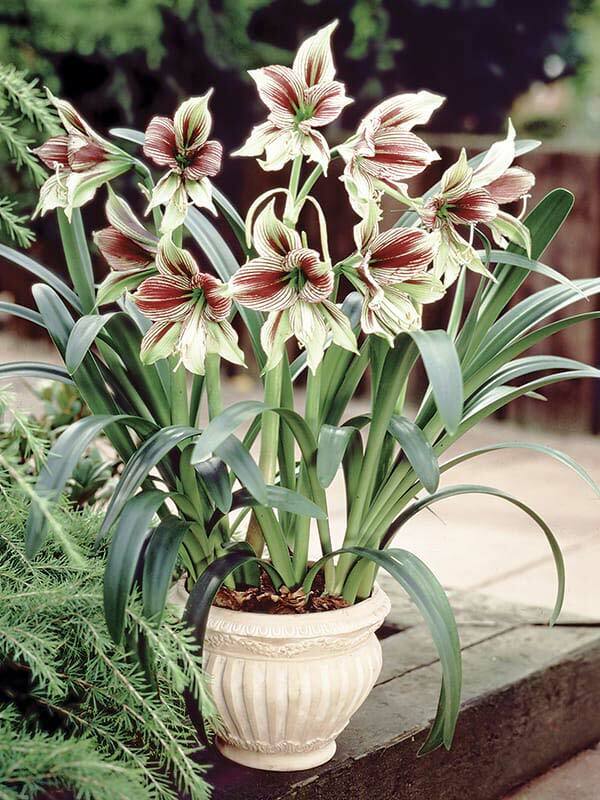 Also, this type of amaryllis may not go dormant in spring – instead treat it as a houseplant year-round and it will bloom annually. 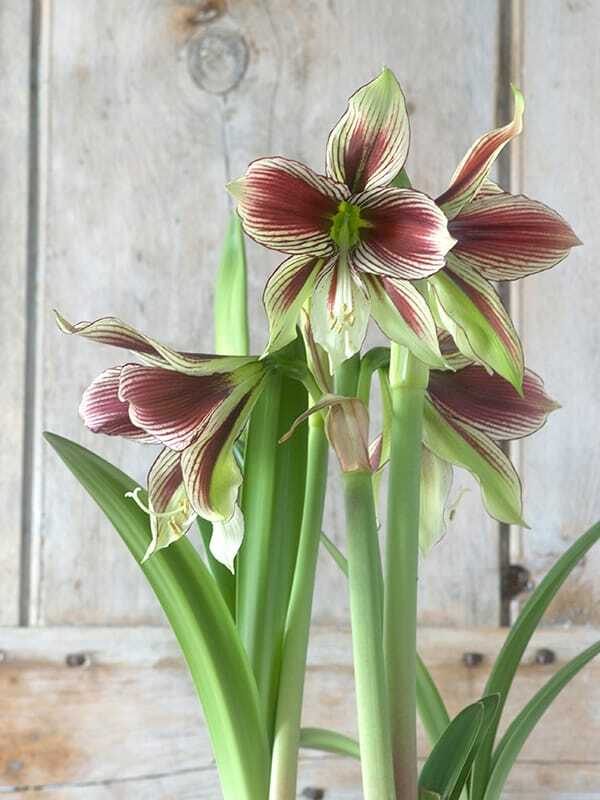 Butterfly Amaryllis ‘Papilio’ was aptly named due to its close likeness to the wing tails of swallowtail butterflies. 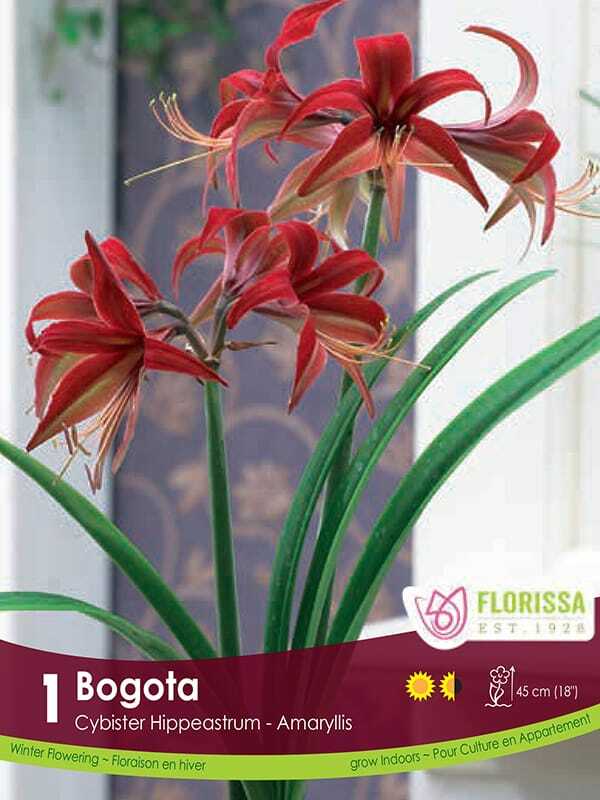 This rare and beautiful amaryllis is native to tropical forests along the Atlantic Coast of Southern Brazil. Elegant and poised pointed petals range from cream to pale green to dark apple green in colour with deep burgundy or maroon striations and brushstrokes. The blooms are borne in clusters, 2-5 around each stem and measure up 15 cm (6”) when fully wide open. Stems rise approximately 40-45 cm (16-18”) in height. 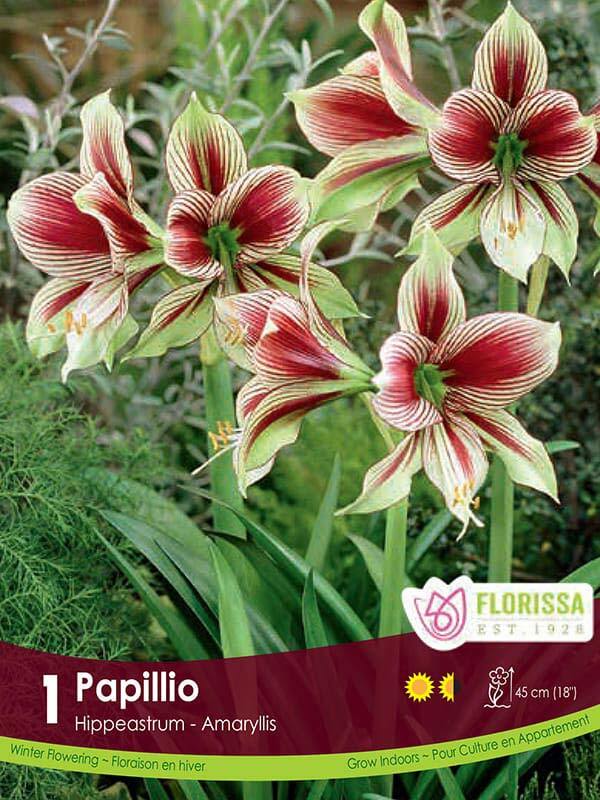 Amaryllis ‘Papilio’ is a robust, vigorous semi-evergreen variety, and easily brought back into bloom each year. It makes an amazing houseplant and if cared for properly, the bulbs will grow larger as the seasons pass, producing smaller side bulbs. With maturity, ‘Papilio’ may bloom twice a year, in the spring and fall.